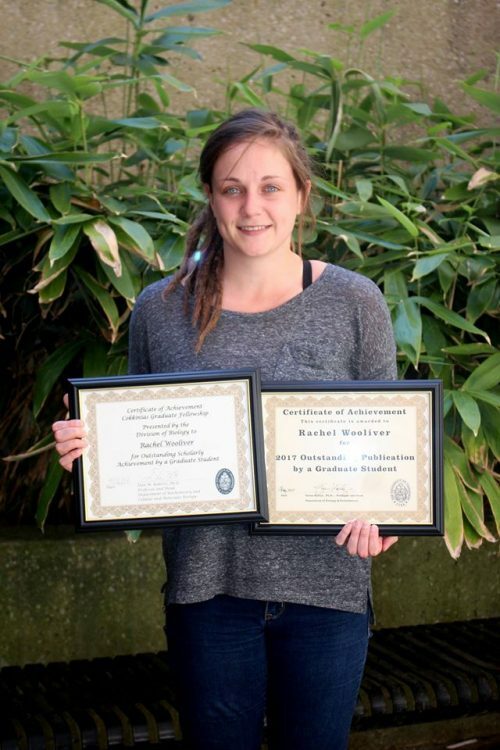 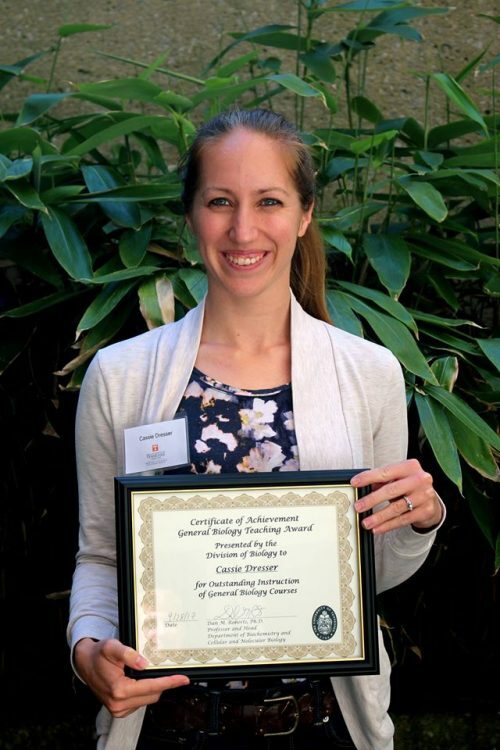 EEB congratulates o ur graduate students who won awards from UT’s Division of Biology! These awards can be given to any graduate students in Biochemistry & Cellular and Molecular Biology (BCMB), Microbiology, or Ecology and Evolutionary Biology. 2017 Teaching Award – Cassie Dresser (Fitzpatrick Lab), for outstanding teaching.